To begin with it was just a prepaid MasterCard that you would need to top up from your normal bank account. The benefit of doing so is that the Monzo app is great for budgeting, monitoring spending, and quickly paying friends. The app also gives you a notification for every transaction, automatically sorts your purchases into categories, and you can freeze your card with a single tap should you misplace it. 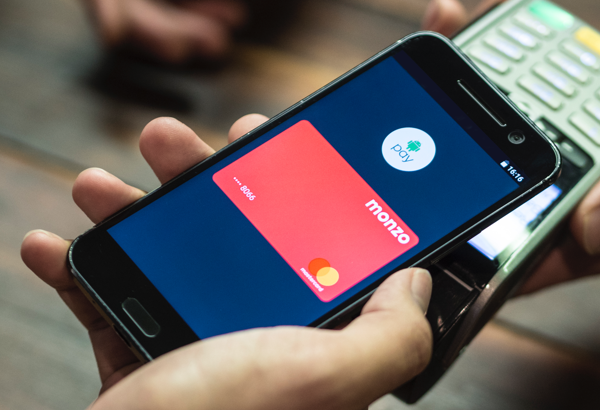 As Monzo moves forward with its next step and begins to offer full current accounts, it's also adding support for Android Pay. As a Monzo user I'm thrilled about this. However, it's only available for current account debit cards, and I've not yet been upgraded, about which I'm less thrilled. Monzo prepaid cards sadly cannot be added to Android Pay. As with other bank cards on Android Pay, you can pay at most contactless terminals. Your screen only needs to be awake to make payments of up to £30, but for larger purchases you'll need to unlock your phone. Your Monzo card can easily be added in the Android Pay app, and soon you'll also be able to add it via a link in the Monzo app, too. 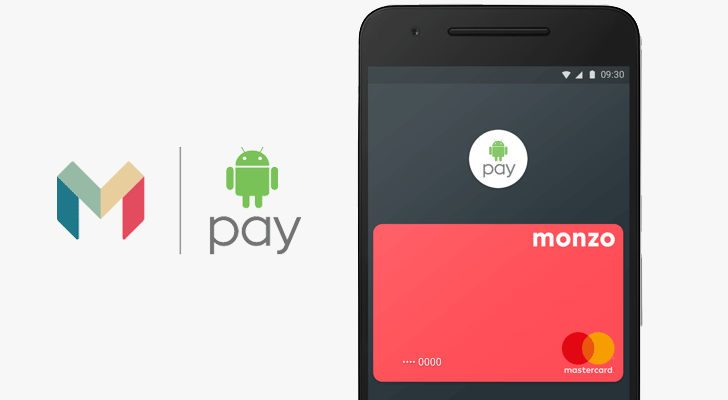 Android Pay is particularly useful if you travel about the city, as you can use it on the tube, buses, and so on. I've even found it to be faster to process than a contactless card in many cases. Until now I've had to use a different card to travel with, so I'll be happy when I have everything set up with Monzo.